I just wanted to say thank you to my loyal followers and welcome to any new readers from this weekend. The last 2 days at spring training were awesome, and I will continue to provide valuable insight and analysis leading up to the season and during the hopeful journey to the post-season. 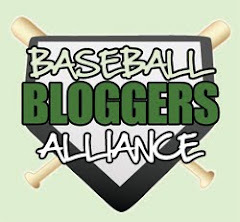 Opening day is 6 weeks from today, and as a countdown, I will be previewing/providing a scouting report each day for a player on the 40 man roster/ those battling for a roster spot. Again thank you for your support, and please continue to provide feedback and comments.